Online communication is standard in today's business world. But professionals aren't the only ones utilizing technology to their benefit ... criminals are too. Cyberattacks against business are on the rise. In this issue of The Pulse, we take a look at phishing scams and what you can do to protect yourself and your organization against this growing crime. Being a true leader is more than being referred to as "the boss." 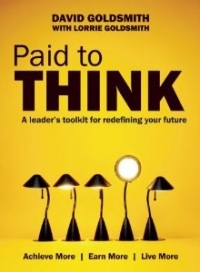 In this issue of The Pulse, we examine David Goldsmith's latest book, Paid to Think: A Leader's Toolkit for Redefining Your Future, which outlines core activities we can practice to improve our leadership skills.